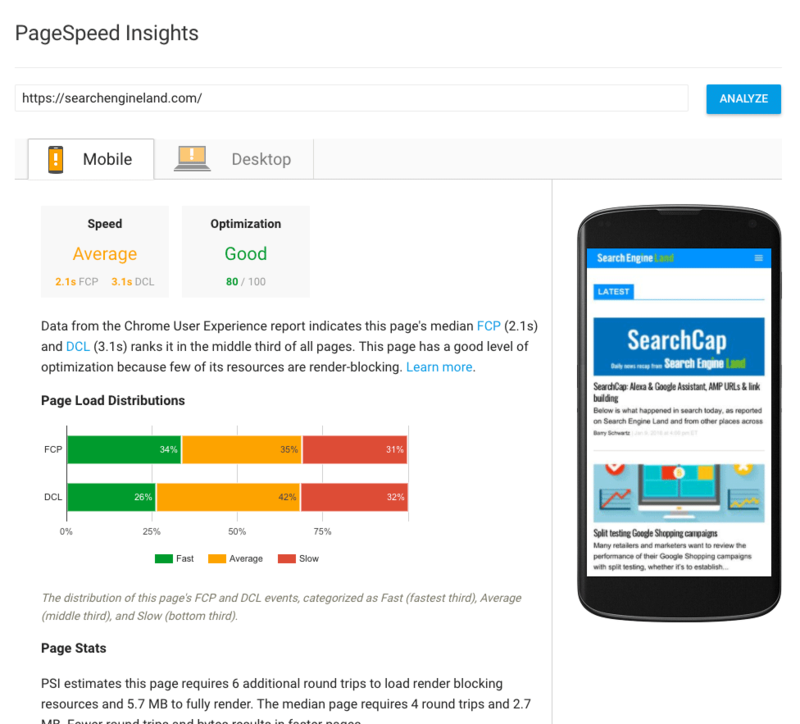 Google announced they have updated the Pagespeed Insights tool to now show real user data from Chrome users, on how they access your pages. That means, if you are using Chrome and accessing this page, Google may use that data to determine how fast or slow this page is. Google wrote the "PageSpeed Insights will use data from the Chrome User Experience Report to make better recommendations for developers and the optimization score has been tuned to be more aligned with the real-world data." In fact, Google shows two metrics, First Contentful Paint (FCP) and DOM Content Loaded (DCL). 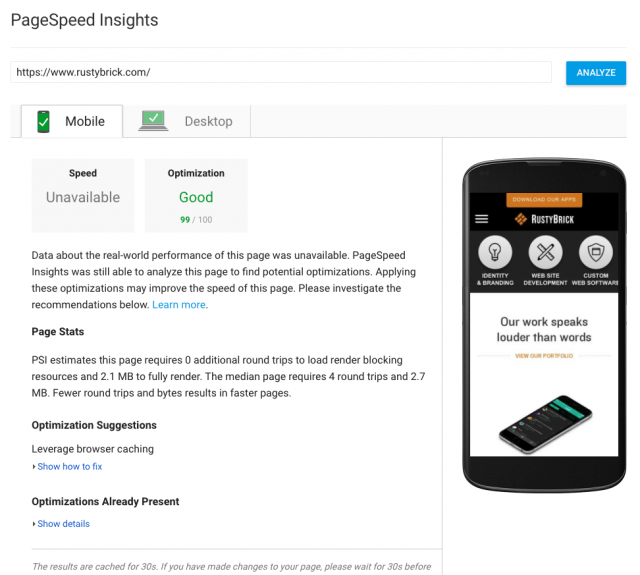 Google will rate your page Fast, Average, or Slow based on both metrics. 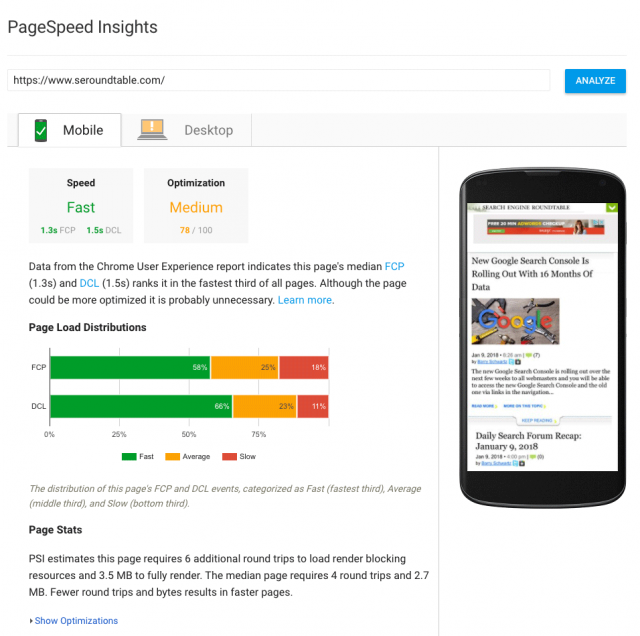 So if both metrics are in the top one-third of their category, the page is considered fast. I should add that although page speed is super important for your web site, the impact it plays in ranking is minimal despite what rumors are out there.